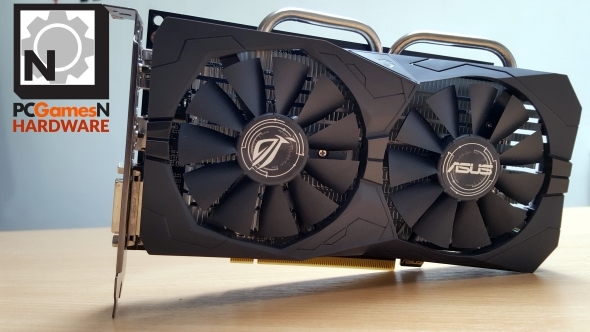 Read more: check out review of the Sapphire RX 470 OC. Once more it’s a release for the board partners, so there are no true reference RX 460s in the wild, leaving just myriad iterations born from the minds of AMD’s graphics card making buddies. That means there’ll be cards on the horizon with new coolers, higher clockspeeds, rearranged PCBs or different memory configurations. Our first taste of the new Polaris-based card has come from Asus in the shape of their ROG RX 460 STRIX – their top-of-the-line, factory-overclocked version. It’s a $139 (£139) card where the stock-clocked 2GB versions are retailing for as little as $109 (£109). That situation didn’t work out too well when we checked out Sapphire’s overclocked take on the RX 470; it added a hefty price premium in a section of the market where cost is a massive factor. The new AMD RX 460 is based on a different spin of their Polaris GPU architecture compared with the chip used in both the AMD RX 480 and RX 470. The Polaris 11 GPU is a much more slight slice of graphics silicon, containing around half the logic circuits of the bigger Polaris 10 chip. 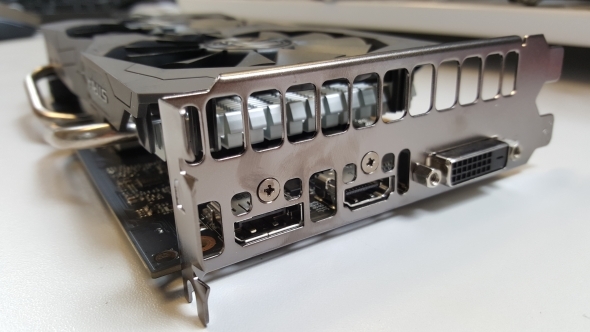 The full version of the Polaris 11 GPU contains 16 compute units (CUs) offering a total of 1,024 GCN cores, yet the version used in the new RX 460 comes with a pair of CUs disabled as standard. That leaves us with 14 CUs and a core count of 896. There’s also a paltry 48 texture units (compared with 128 in the RX 470’s Polaris 10 chip) and half the ROPs count of its older siblings at 16. The reference clockspeeds of the RX 460 have been set at 1,090MHz and 1,200MHz as base and boost clocks respectively, with the memory configuration set as a base of 2GB GDDR5 across an aggregated 128-bit memory bus. Asus’ ROG STRIX version of the AMD RX 460 though is a pretty heavily overclocked take on those reference specs with double the memory count at 4GB. The STRIX clocks in at a maximum of 1,256MHz in its ‘OC Mode’, with its ‘Gaming Mode’ set at 1,236MHz. There’s also a ‘Silent Mode’ which dials the clockspeed back a little more, but considering the 0dB cooler Asus have attached to the Polaris 11 GPU barely gets going at the card’s overclocked speeds I doubt anyone’s ever going to bother with that profile. Because of this extra overclocking power, Asus have chosen to add a 6-pin PCIe power connection onto the card despite the base version taking all the juice it needs directly from the PCIe slot itself. Personally speaking, that’s a bit of a negative for this card. In the lower echelons of PC gaming having a cheap card you can drop into any off-the-shelf, budget PC and instantly get 1080p gaming performance, without the need for extra power cabling, is great. And one of the things I still love the ol’ GTX 750 Ti for. Finally, speaking of the PCIe slot, the RX 460 is rated as a x8 card, meaning that it actually only uses half the PCIe 3.0 lanes in a full-size slot. Given the relatively low-level of the GPU that won’t affect its gaming performance. The new Polaris 11 GPU is a much smaller chip compared with the larger Polaris 10. There are just 3 billion transistors packed into its 123mm2 package. That makes it a little more than half the physical size of its larger sibling, but in terms of the important numbers (those little GCN cores) it’s got less than half the core count. The smallest of those 3 billion transistors have been created with the new Global Foundaries 14nm FinFET lithography, designed to offer AMD’s latest graphics cards far better power efficiency than the red team have managed in the last few GPU generations. It is still using the same basic Graphics Core Next (GCN) architecture as those older cards, though now in its official fourth generation. By comparison, Nvidia’s Pascal cards are built on a slightly larger 16nm FinFET design, manufactured by rival semiconductor company TSMC. 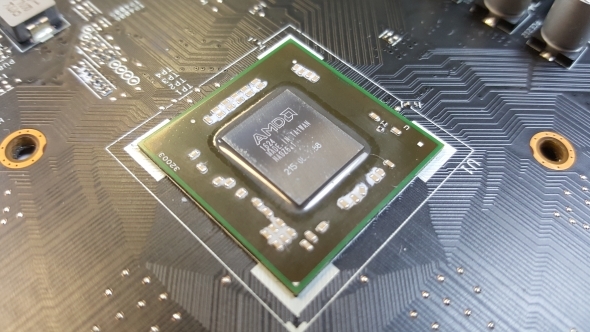 AMD is levelling up the playing field for this latest spin of its GCN architecture though, with all the new cards released this year using the same version. The last few generations have seen different cards, at different levels, using newer or older versions of the GCN technology. That means all the Polaris cards support FreeSync and TrueAudio as well as contain the advanced memory and colour compression algorithms which mean the 128-bit memory bus of the RX 460 should deliver the same performance as 256-bit buses of old. Because of the diminutive scale of the Polaris 11 GPU AMD is looking to drop this chip directly into laptops. An RX 460 in the laptop space promises to be practically identical to a desktop version of the RX 460. I say ‘practically’ because the laptop manufacturers are likely to clock the GPU lower to keep power draw down. The AMD RX 460 has been designed from the outset to be a GPU aimed primarily at the eSports crowd, or rather for the sort of graphically un-demanding games that usually make up the majority of eSports titles. AMD then is aiming for great gaming performance from the likes of League of Legends, CS:GO and DOTA 2. Which is good, because when it comes to the sort of games we’re running in our graphics benchmarking suite the RX 460 doesn’t come out looking too hot. While you could potentially be netting yourself liquid smooth gaming in DOTA 2 using its Vulkan build (thanks to AMD’s groundwork in low-level APIs) across the rest of our tests you’re only going to be seeing 1080p performance in the mid-30s for the average FPS. Nvidia has still to release a lower-end, Pascal-based graphics card, so the green team competition comes in the shape of the GTX 950. Right now you can pick that up for around the same price as this overclocked Asus RX 460 and in performance terms they’re mighty close. The benchmark numbers I’ve got for the GTX 950 are from an older test rig, but they are still a decent indicator of relative performance. 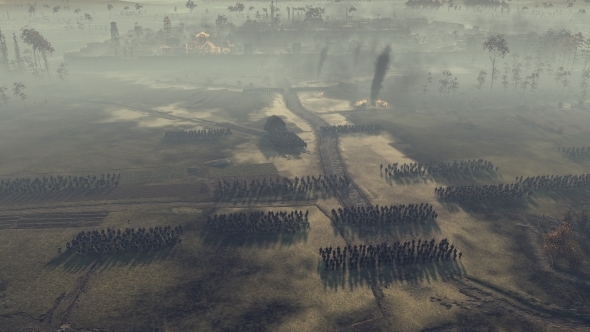 In the synthetic Heaven benchmark and the BF4 and GTA V gaming tests the Nvidia card has a bit more about it, with the RX 460 taking a performance lead with Total War: Attila and Shadow of Mordor. In terms of really improving over the last generation of cards then the RX 460 doesn’t feel like it’s delivering much different. But there is, of course, the Vulkan performance. In this generation it’s all been about AMD taking Nvidia to task when it comes to the newer APIs, but something doesn’t quite scan so well with the Polaris 11 GPU. In Doom at 1080p the RX 460 posts a healthy extra 15FPS on average when using Vulkan as opposed to OpenGL; nothing to sniff at as a free speed boost. At 1440p though there is a stutter as the average performance actually drops a couple FPS. 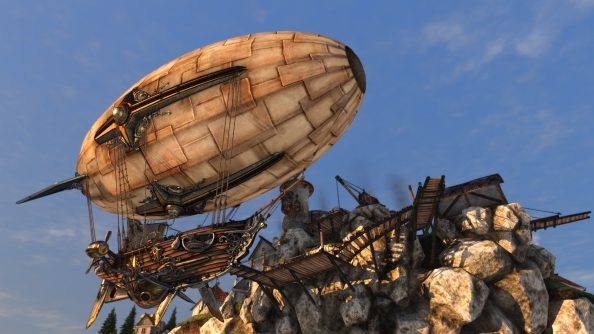 You still get a better experience with Vulkan though as the frame rates are far more stable, with fewer drops, but it’s not the massive overall improvement we’ve come to expect from AMD’s latest architecture. Across the board the performance figures are almost matching the halving of GPU silicon by delivering gaming frame rates which are about half the speed of the RX 470. Which would be fine if the card was also half the price, but with the Asus ROG RX 460 STRIX we’ve got a card which is only a little cheaper than a 4GB RX 470. In the UK you can pick up a 4GB RX 470 for £165 which is just £26 more than this RX 460 is retailing for. Being able to pick up twice the gaming performance for the price of a cheap night out makes me really scratch my head at the RX 460’s pricing. Obviously we’re talking about a pretty heavily overclocked version of the RX 460, adding another 50MHz onto the boost clockspeed out-of-the-box. With a lot of factory-overclocked cards that’s just the start of the adventure and their price-premium is justified by the extra speed you’ll be able to add yourself. However I couldn’t squeeze any more performance out of this card. My Asus RX 460 tapped out with just a 3.5% clockspeed boost, even with the GPU barely hitting 70°C. Anything over 1,299MHz just delivered a whole lot of processor artifacting on-screen. And with that minimal clockspeed hike we saw no actual performance boost in real terms, barely even the odd frame per second here or there. 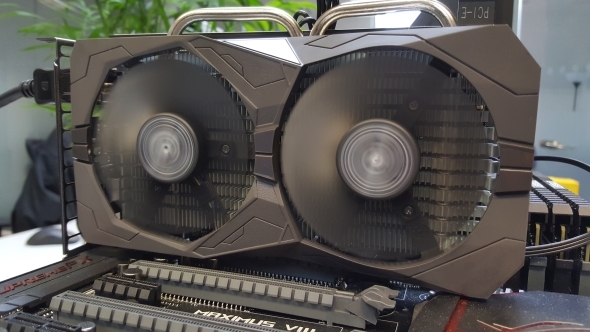 That’s testament to the performance of Asus’ mighty DirectCU cooling though – in the card’s ‘OC Mode’ the GPU maxes out at a positively chilly 63°C. Considering the fans don’t even come on until 60°C most of the time the STRIX is silent even overclocked as it is. STRIX cards always come with outstanding cooling, but even that is not worth adding another 30% onto the price of this budget version. I’m really struggling with the last two GPU releases from AMD. The RX 470 was a strange one because it’s performance was so close to the RX 480 that it couldn’t be priced much lower or it would utterly cannibalise the larger GPU’s sales. That’s frustrating, but understandable. With the RX 460 though the pricing of this overclocked SKU remains remarkably close to the higher tier GPU, yet the actual gaming performance in this instance is far, far lower. The factory-overclocked price-premium makes juiced-up cards harder to recommend as you travel further lower down the performance scale. When the base RX 460 is available for $109 (£109) the extra money you’d spend on this Asus hardly makes sense when much better cards are only a little more expensive. 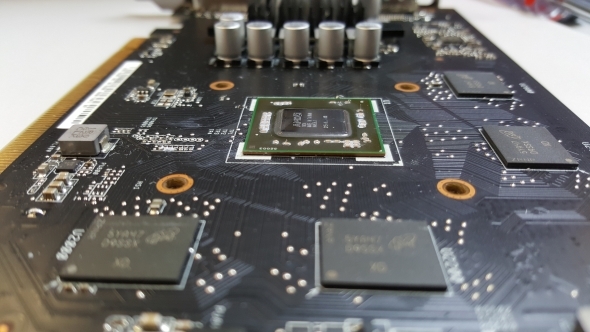 If your GPU budget is tight, pick the reference clocked card and be happy – there’s little point in spending more on an overclocked version of that same chip when you could step up a whole GPU grade. So who would be upgrading to an RX 460? Realistically I don’t think many people will. More likely the RX 460 is going to be the go-to card for system-builders putting together budget gaming systems. And in that regard the AMD RX 460 is a decent choice for a full budget build, though probably still not in this pricey, cool ‘n’ quiet Asus trim.